The pilot escaped injury in this crash landing. 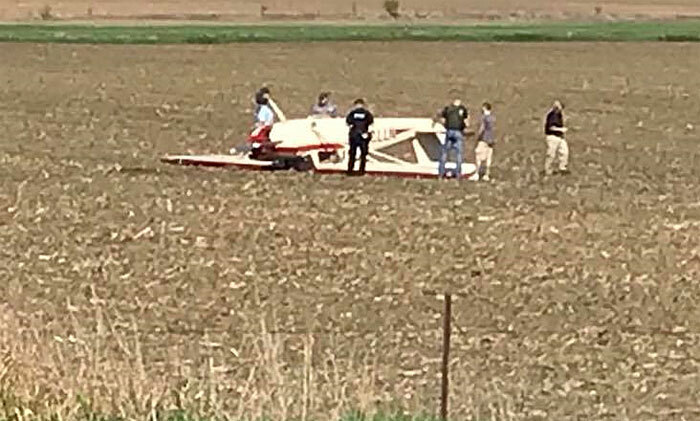 The pilot of a small plane ended up in a field and upside-down while trying to land in southwest Iowa’s Shelby County this morning. 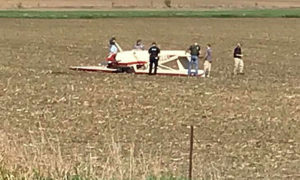 The 1946 single-engine Cessna 120 was attempting to land on the grass runaway at the Harlan Municipal Airport at around 9:40 a.m., when the aircraft clipped a fence and nosed into the ground before flipping onto its top in a farm field just north of the airport on the west side of Highway 59. The plane’s pilot and sole occupant was not injured. His name was not immediately available. The plane was purchased from an Atlantic man just two weeks ago.